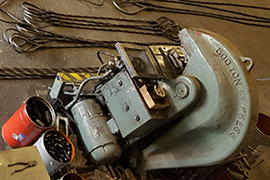 Founded in 1979 by Brad Olsen, Rigging & Tools remains a vital industrial supplier to the oil field, construction, agricultural, and power plant industries. We have diversified as our customer needs have changed. We have expanded our product lines, services, and property buildings to expand onsite inventory. Custom manufacturing of synthetic, chain and wire rope slings has been available since 1979. 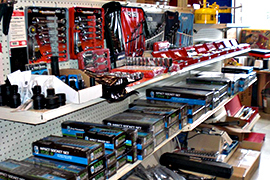 Rigging tools is a successful locally owned company, based in North Dakota. As an Industrial / Construction Supply & Manufacturing Company, we have achieved a lot of success with Farmers, Ranchers, Construction and the Oil & Gas industry. Brad Olsen started the company in 1979 - Rigging & Tools Inc. In 1985, Brad Olsen had the first social project for the goverment. It is the large step toward of the company. 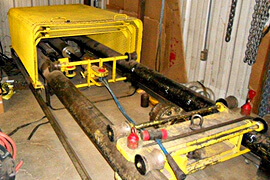 Rigging & Tools Inc. was part of a project and got theire first partnership in business. The company enlarged the market to the Oil & Gas industri, with projects for high quality equipment service. Additional warehouse space was added for more inventory. New age, new technology, online presence on all devices, the company moved up to a new modern webdesign in 2017. We believe Rigging & Tools Inc. can exceed all of our clients’ expectations in completing projects on time and on budget. We set high standards and expect successful results in quality, safety, project management and above all client satisfaction.